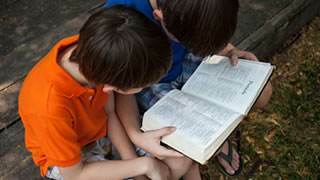 Sunday schools may be banned for teaching the biblical view of marriage, under proposals to subject them to Ofsted inspection, Conservative MPs have warned. The government has outlined proposals that would force many ‘out-of-school’ settings to undergo registration and inspection. In a letter to The Telegraph published Monday, Sir Gerald Howarth, David Burrowes, Fiona Bruce and Gary Streeter said that the changes, outlined in a consultation by the Department for Education, could have a "seriously detrimental effect on the freedom of religious organisations". The consultation, which passed its deadline on Monday, was published as part of the broader 'Counter-Extremism Strategy', which has raised widespread concern about the restriction of religious freedom. In the letter, the MPs highlight the threat the measures pose to many Christian groups, including Sunday schools. Christian groups are concerned about "the prospect of an Ofsted inspector observing meetings and then imposing sanctions for the expression of traditional views on matters such as marriage – views which, until very recently, were considered mainstream in Britain", the letter says. The MPs go on to echo Christian Concern and other organisations, which have raised concerns that religion in Britain could become state-regulated. Read Christian Concern's response to the consultation here. "This would be an intolerable but very real possibility given the clear desire of the Department for Education to investigate what it calls 'prohibitive activities', such as 'undesirable teaching’… which undermines or is incompatible with fundamental British values. "This could challenge established Christian teaching. Threats to British values originate overwhelmingly from certain strains of Islam. "It is at least disproportionate, if not absurd, to impose intrusive burdens on all other religious groups under the pretence that attempts at radicalisation could be discovered in any organisation."